Formerly a sleepy little fishing town, Punta del Diablo has become a popular seaside getaway with a wealth of attractions natural and manmade. At peak season (January and February), an influx of tourists turns this town of less than 1,000 permanent residents into a bustling beach resort of 25,000. 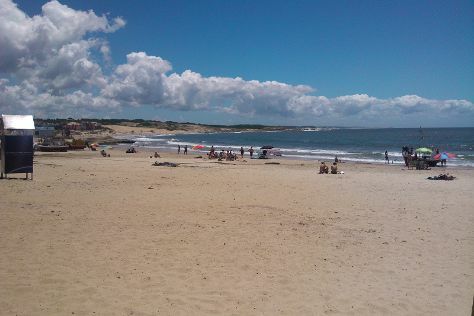 The main attractions in Punta del Diablo remain its sandy beaches, while national parks just out of town offer protected areas of forestland, lakes, and marine environments to explore. History buffs will appreciate local sites that relate the contestation of the region by the Portuguese and Spanish empires during the 18th century. Punta del Diablo's strict building codes keep it refreshingly free of large resorts and high-rises. Punta del Diablo is in Rocha Department. Add Punta del Diablo and other Uruguay destinations to your travel plans using our Uruguay online trip itinerary maker .